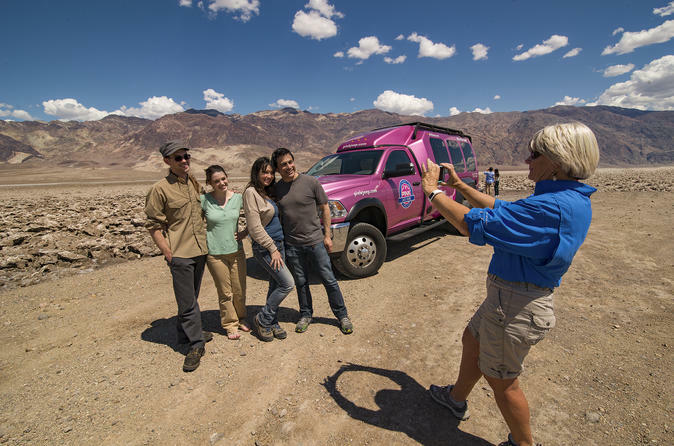 Your professionally guided Death Valley adventure by Luxury Tour Trekker, a one-of-a-kind, high-end custom built all terrain vehicle, takes you to Death Valley. You'll also pass the The sea level sign - a popular visitor attraction and photo opportunity. Nearly a mile above the Badwater salt flats is Dante's View, a classic Death Valley vista. Located just a few miles west of the California–Nevada border, near Death Valley National Park, no journey to this part of the world would be complete without a visit to this unique and inspiring destination. Then, head back to Las Vegas via a comfort stop in Pahrump. Please note: this tour is seasonal and operates from September to May.